John and Taunia Elick have been breeding American Quarter horses for over 30 years. As cattle ranchers, we use our herd of over 50 horses each day. Our current stud, Fancy Twisted Rebel, is our best yet. His success in the cutting pen, coupled with his temperament have made him a perfect match for our high bred mares. 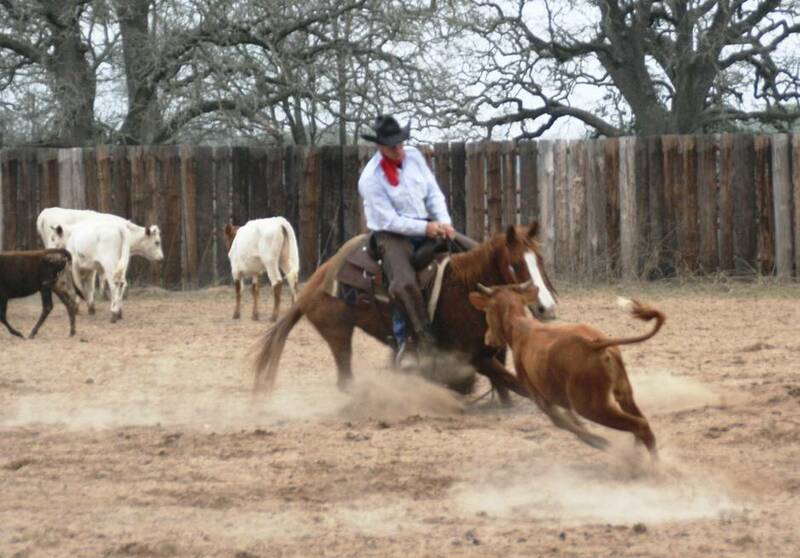 Rebel’s bloodlines are littered with infamous quarter horses, including: Freckles Fancy Twist, Doc Olena, Doc Bar, Poco Bueno, Peppy San Badger, Docs Hickory, etc. Our mares are by two time world champion cutting horse Quilchina Bar and all around hall of famer Zan Parr Bar. ​See below section to review our current horses for sale and learn more about our history. Please email texasranchlife@gmail.com if you are serious about acquiring a horse. Ranch horses begin at $4,500.